Save the Date for our annual Teacher Auction and Parents Night Out! Save the date for our annual PTA Silent Auction! 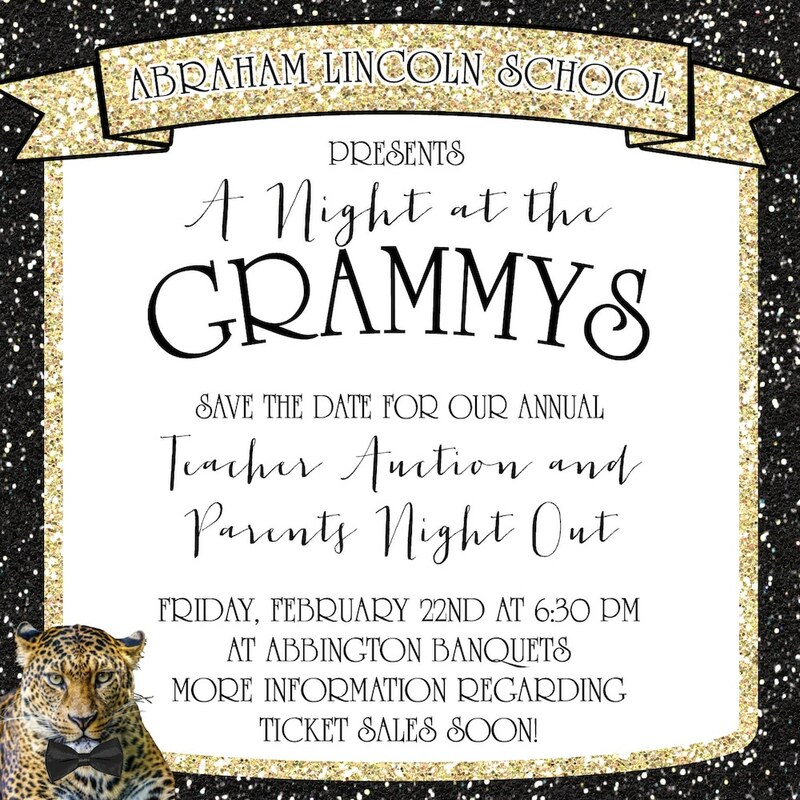 Join us on February 22, 2019, with other Lincoln parents, teachers, and alumni while bidding on fun student/teacher events as well as unique experiences donated by our Glen Ellyn community. This is our biggest fundraiser each year and supports programs for our students like field trips, assemblies, after-school clubs and more! And back by popular demand will be TEAM TRIVIA! Who will take home the Lincoln Crown this year?! Online ticket purchase and raffle sales to go on sale in January 2019. DONATE TO LINCOLN! Would you like to donate an auction item for this fundraiser? In the past, Lincoln families have donated sporting event tickets, babysitting, spa day, dinner out, gift cards, food & drink baskets, gift item, iPads. Please contact us at AuctionNight@abelincolnpta.org with questions or to arrange pick-up.